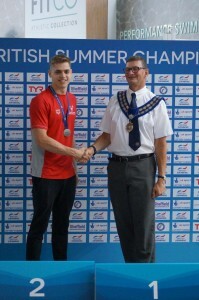 City of Oxford High Performance Squad continues to develop National Swimmers. You are here: Home / News / General news / City of Oxford High Performance Squad continues to develop National Swimmers. With the development of the High Performance Squad by Amanda Booth (Head Coach) and Michael Peacock (Strength and Conditioning Coach) over the last two years, City of Oxford Swimming Club continues to develop swimmers for National teams for the 2018/2019 season. This is even more apparent with the recent announcements from British Swimming and Scottish Swimming on their squad selections. Toby Mackay-Champion has been selected once again by Scottish Swimming to take part in the National Silver Elite Programme and will see him once again competing and representing Scotland at key meets in 2018/2019. Combining these announcements and recent selections of other young #ragingbulls onto the Swim England and Swim Wales Development Programmes, the future of developing National swimmers looks promising for the City of Oxford Swimming Club.